NEW YORK: Brands are getting more innovative about the way they engage with consumers on Twitter. The social media platform has gathered a top 10 list of brands that nailed Twitter in 2017. 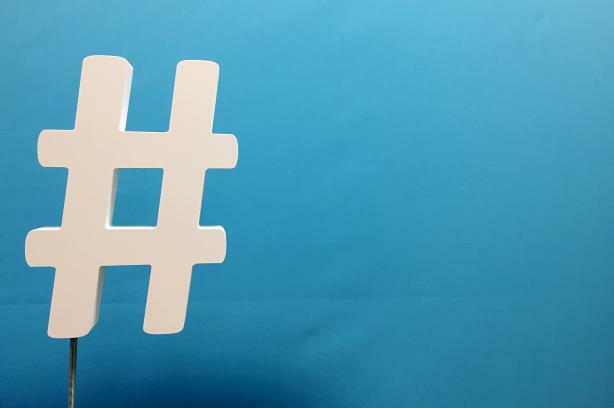 Stacy Minero, Twitter’s director of brand strategy, is part of the team that helps brands develop their content strategies and creative ideas on Twitter. Using filters, her team was able to identify the best in class on Twitter. "We looked at the most mentioned brands on the platform and the most creative use of Twitter based on our super powers of culture and conversation," she said. In October, Twitter user @edgette22 discovered that KFC’s Twitter account follows no one but all five Spice Girls and six men named "Herb"—a nod to the fast-food chain’s secret recipe blend of 11 herbs and spices. In return, KFC sent the Twitter user an oil painting. "We thought this was a brilliant way to create a moment of discovery on the platform and plant an Easter egg, anticipating that a savvy user would actually figure out what they had done," said Minero. "It was a playful moment that got a lot of attention on Twitter." Carter Wilkerson posted a tweet in early April asking how many retweets he needed to get for a year’s supply of free chicken nuggets from Wendy’s, to which they replied: 18 million. He didn’t get that far, but garnered 3.42 million retweets, pushing him past Ellen DeGeneres’ Oscar selfie tweet, which was the previous record-holder. Wendy’s gave him the free nuggs anyway. "Twitter is the one place where you can create a brand persona and humanize a brand and Wendy’s has done that," said Minero. "#NuggsForCarter looks like a serendipitous moment that just happened, but there is so much planning that goes into crafting your brand voice so that consumers want to engage with you and are trying to get responses from you." To promote the live action version of Beauty and the Beast, Disney encouraged fans to use the hashtag #BeOurGuest to get a delivery of a rose on Valentine’s Day. "There is something magical about getting something physical by using a digital call to action," Minero said. The end result was 938 deliveries in major markets. The hashtag also trended in 25 major markets. People want to hear from leaders of companies about what they are working on. Minero explained that Musk and Legere both use Twitter to have a direct connection with consumers: they ask questions, listen, and respond. "Legere tweeted 24 times yesterday; he has a commitment to tweeting and takes swipes at competitors," said Minero. "He has a provocative use of twitter that is disruptive in a positive way." She added that Musk, meanwhile, breaks news, engages with fans and followers, and tweets about thought provoking topics such as AI that get people talking and sharing. Unfortunately no one will hear your safe word if you're on @Tmobile. ?? Verizon and T-Mobile had some entertaining banter on Twitter after T-Mobile aired a Super Bowl spot spoofing 50 Shades of Grey. "That exchange got a lot of attention from consumers," said Minero. "There is a way to plan your content and be deliberate, but there is a way to be responsive and unexpected." Nike was the first brand to distribute its own programmed event using Twitter’s Live Player. In May, the brand livestreamed three elite marathon runners on Twitter attempting to do the first ever sub-two-hour marathon. Nike used different Twitter tools to keep people engaged throughout the race. "We made our foray into livestreaming a year and a half ago," said Minero. "This was the first time a brand was seizing that opportunity to go live with their own content instead of sponsoring live content. They created the content themselves and it was a smart way to engage consumers and drive conversation about the brand and the event." Bank of America launched a product feature focused on peer-to-peer payments. The brand used Pay Back a Friend Day, October 17, to talk about its new feature on Twitter. The bank used more than 10 social creators to create awareness throughout the day or to invite people to talk about paying back their friends. "In aggregate those 10 creators had 66 million followers so they were able to borrow equities from those social creators that have a built in fan base and spread the message in a really authentic way," said Minero. "They embedded the brand in culture and created conversation by using these social creators who design content for their fans." There was a tie in this category. Spotify created a musical movement through an original content series that spotlighted the issue of immigration. The brand wanted to shine a light on the communities that were being silenced and celebrate them through music, said Minero. Airbnb created a Super Bowl spot that tapped into the conversation about immigration and the political climate. The brand tied its message, #WeAccept, to the housing 100,000 refugees, disaster survivors, and other displaced people. Airbnb committed to donating $4 million to the International Rescue Committee over the next four years. "Brands that have a purpose can make their message spread," said Minero. "It can go faster and further on Twitter." To promote the release of Halo Wars 2, Microsoft and Xbox decided to use direct messaging in a different way. Twitter users were prompted to engage with Isabel, the main AI character in Halo Wars. Fans were then transported into a training module where they could play battle cards against their friends or the computer. "This is the first time someone used a DM to bring gaming activation to life," said Minero. "There were over 56,000 games played and the completion rate was 94%. People struggle with completion rates on video, so to see that type of engagement was phenomenal." Game of Thrones had character posters they wanted to release digitally. They challenged fans to discover the posters by creating an emoji engine. People had to figure out how to unlock unique combinations to gain access to the posters. "Twitter is the default app people go to when a show is on," said Minero. "People are obsessed with Game of Thrones and they created content exclusive to Twitter."